Who would say no to free movie tickets? The original co-founder and CEO of MoviePass, Stacy Spikes, is creating the first-ever ad-supported theater network that will allow people to watch movies at the cinema... for free! It's called PreShow, and it will use facial recognition technology. "I love attending the cinema, and who doesn't love free? We've been working hard developing PreShow," Spikes said in a statement. "It's been in stealth mode until now. During this time, we have developed our intellectual property, largely built the technology, canvassed theaters, advertisers, and most important filmgoers. We've tested the platform every step along the way." PreShow is being funded by Kickstarter. Within the first week of it's launch, the campaign already raised about double the amount of its $10,000 goal. Those who back the campaign will get to experience PreShow first. The PreShow app will let its members watch a 15 to 20-minute PreShow video of engaging branded content which is ideally similar to product placement for targeted individuals. A facial recognition software will be used to ensure the user is watching. After watching the video, the member's virtual card will be credited and can be used to purchase movie tickets as usual. Spikes, who is also the founder of the Urbanworld Film Festival, is very passionate about the film industry. 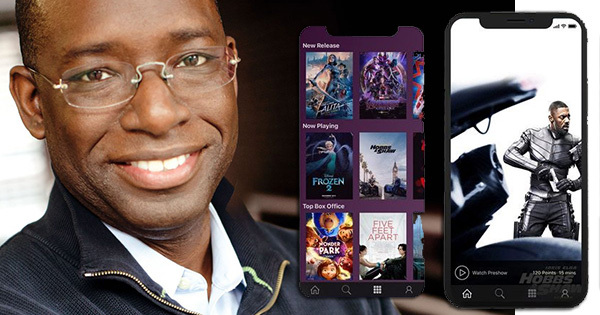 Since he left MoviePass after its sale, he has continued to innovate ways for customers to get into theaters at the lowest price point possible. "Years ago, I was an original co-founder of MoviePass. Although I learned that there was large latent demand for attending movies in theaters that would be unlocked if there was a real value-based platform for it, I also learned that such a platform needed to prioritize a consistent and sustainable business model," Spikes said.